1. 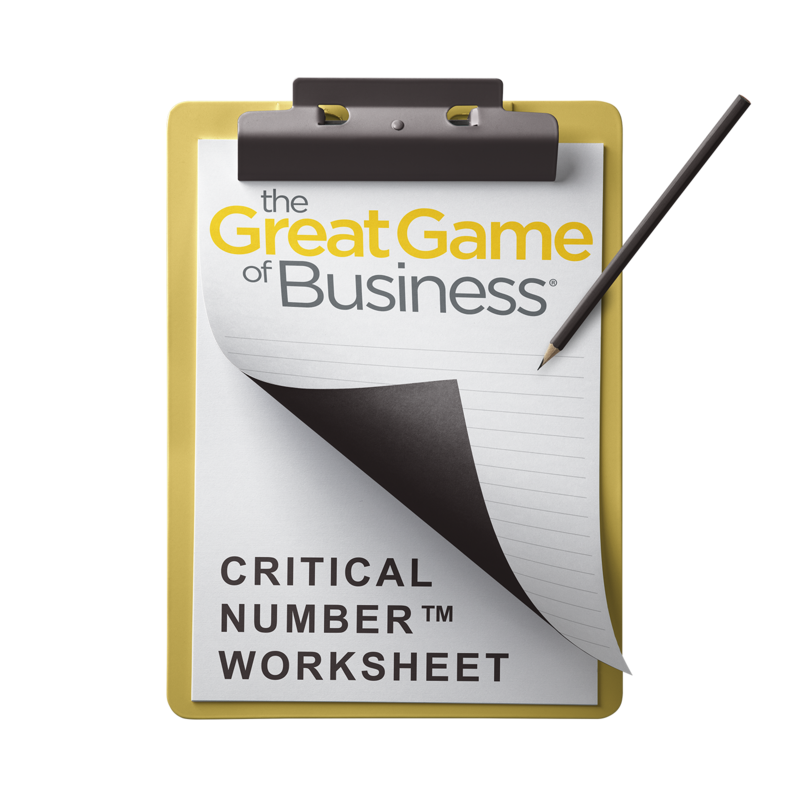 What is a Critical Number? Between these two valuable quotes is a balance and a guideline for business owners. All businesses have certain numbers that define success. Some figures, like profit, are universal. Every business must take in more than it spends, so an argument could be made that this figure—profit—is a definition of success for every business. Focusing on a small, carefully-selected set of numbers and actually making changes to improve them is much more likely to lead to overall success than scattershot oversight of dozens of different stats. Some business owners create a scoreboard (sometimes called a “dashboard”) of metrics. They use it to pull select numbers out of the blizzard of income statements, balance sheets, and other reports to give them the appropriate amount of attention. This is how the “what gets measured gets managed” piece comes into play. What is a Critical Number? Your company’s Critical Number is the one metric, either operational or financial, that represents a weakness or vulnerability that, if not addressed and corrected, will negatively impact the overall performance and long-term security of the business. This Critical Number is what represents winning. It serves as a common and clearly defined goal that directs employee focus and demonstrates progress and success. So, how do you sift through the scads of metrics that might be worthy of your undivided attention, and discover the select few that will truly make a difference? Are there considerations related to your specific business model that are absolutely critical to ongoing success? For instance, if you are the low-price leader, then cost of sales is likely a primary area of focus. Are there challenges your business faces right now that deserve attention? Examples might include issues like declining quality, too much dependence on one large customer, or a high employee turnover rate. If you find that there are specific concerns that warrant a permanent place on your scoreboard, then add them and leave them there. Or, perhaps you’ll discover that a temporary issue needs attention—so go ahead and give it a spot, but only until it is resolved. In most cases, the big-picture, corporate-level Critical Number will have underlying “drivers,” actions that must be taken to move the number in the right direction. A simple example: weight loss. If your Critical Number is pounds, the drivers would be calories consumed (eating) and calories burned (exercise). As in this weight loss example, the best drivers aim to measure activities and behaviors. If you want to change a number, you’ve got to change someone’s activities or behaviors. Your Critical Number is the metric that deserves a significant amount of time and attention. That’s not to say other numbers aren’t important. They just don’t have as big an impact on the fortunes of your business. Identify and break out your Critical Number and associated drivers. Get them on a scoreboard for all to see. Talk about them. Teach and learn about them. Assign responsibility for them. Track them. And most importantly, be sure to move them in the right direction. Your business will be more successful for the effort.